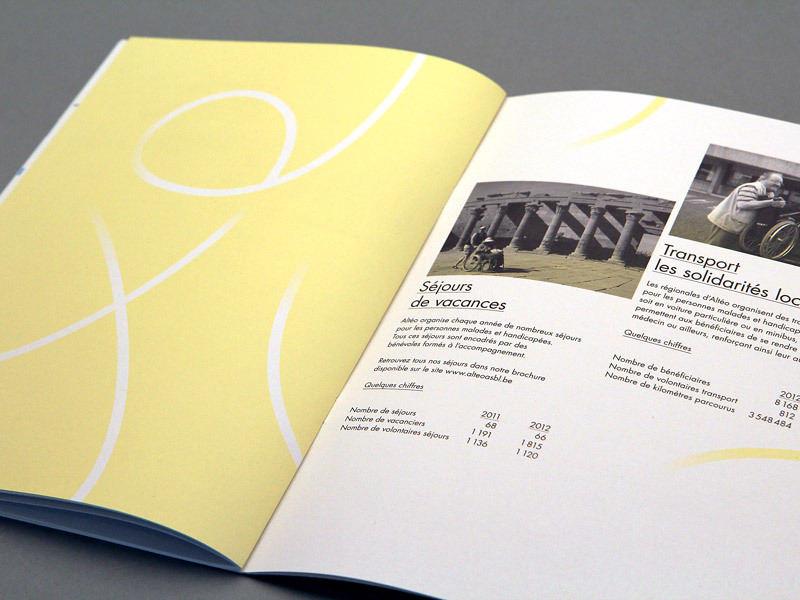 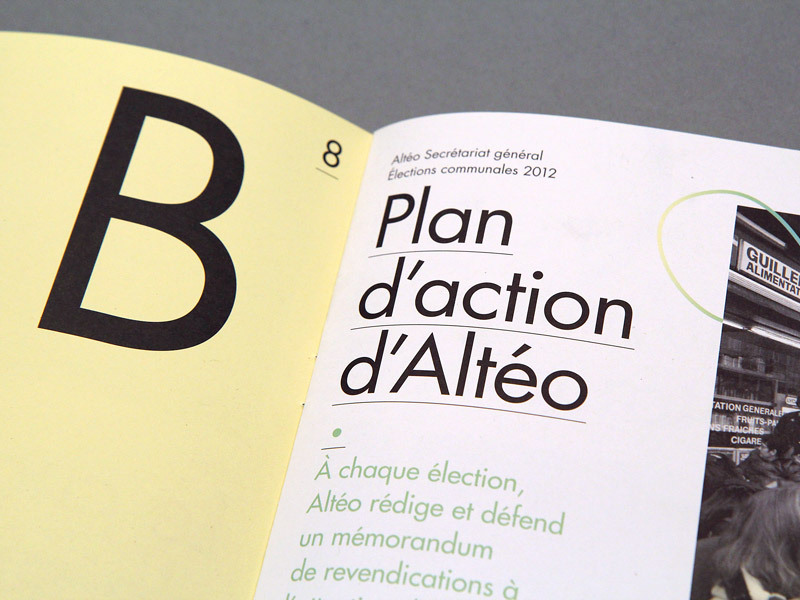 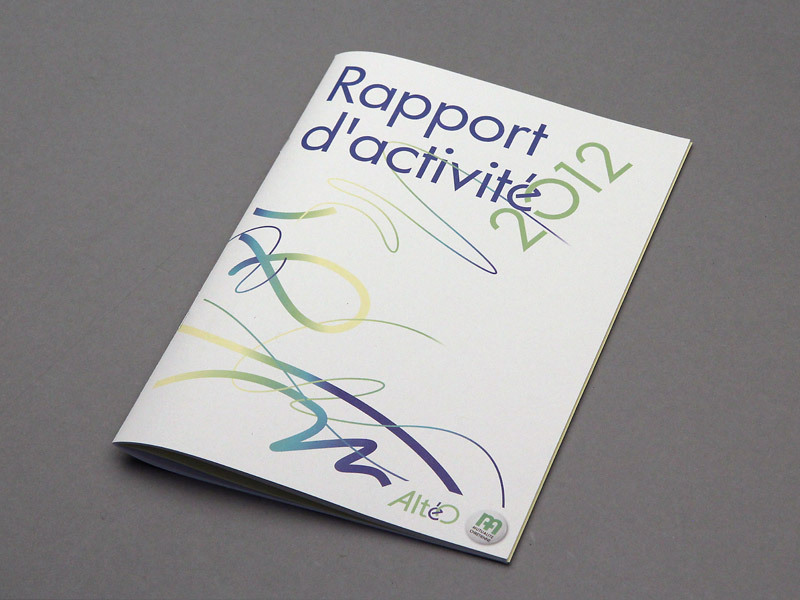 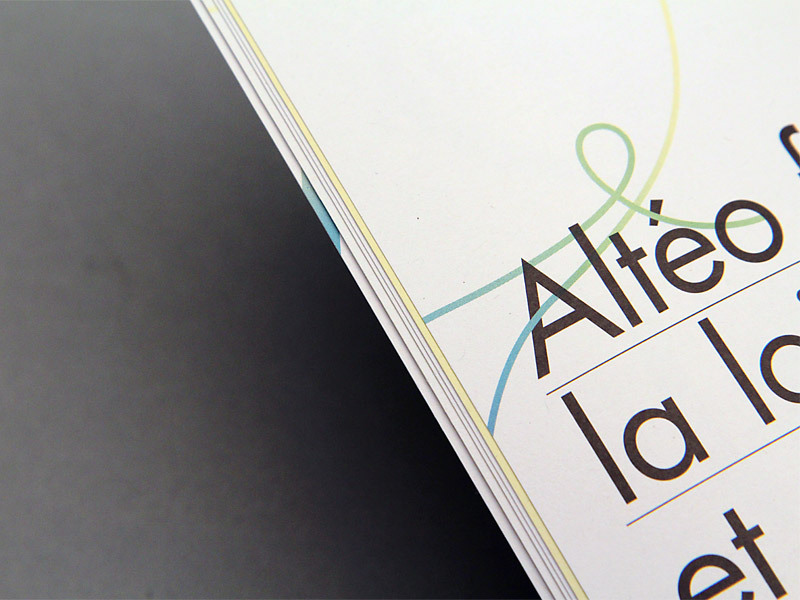 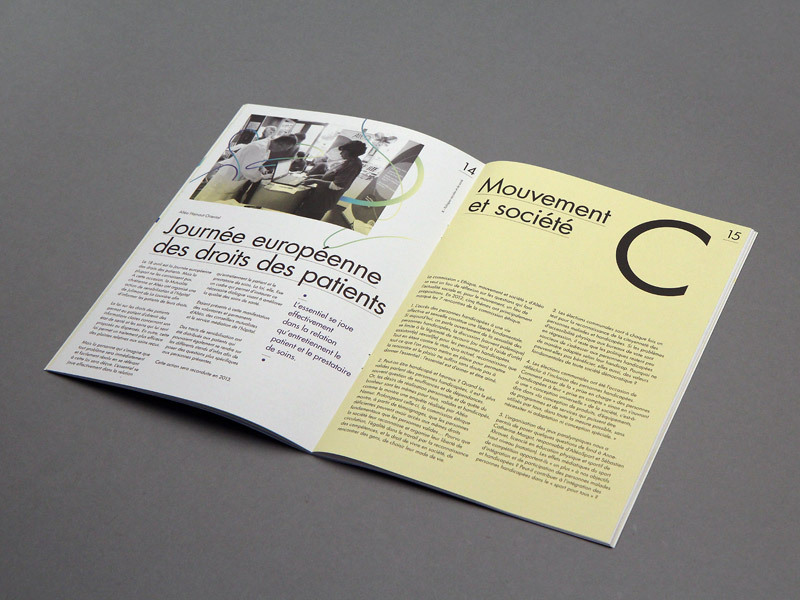 Altéo, an organisation helping disabled people, asked Kidnap Your Designer studio to design their annual report. 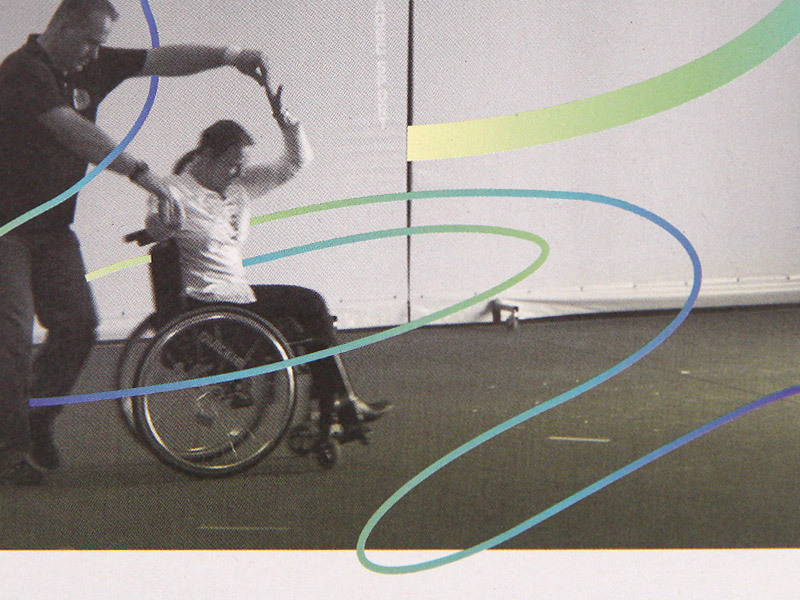 The main challenge was to bring life to the photographs that weren't always professional. 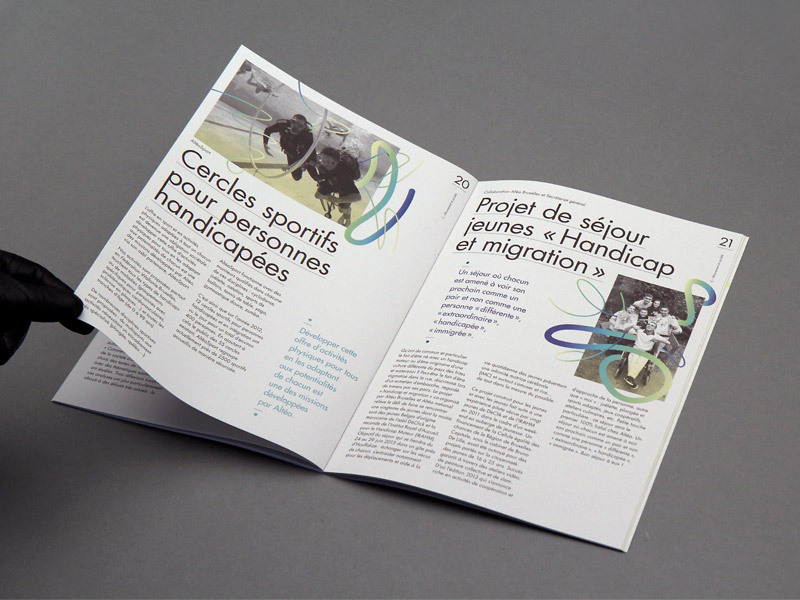 We had to find a graphic solution so I decided to use lines that spurt out of elements in the pictures giving them volume. 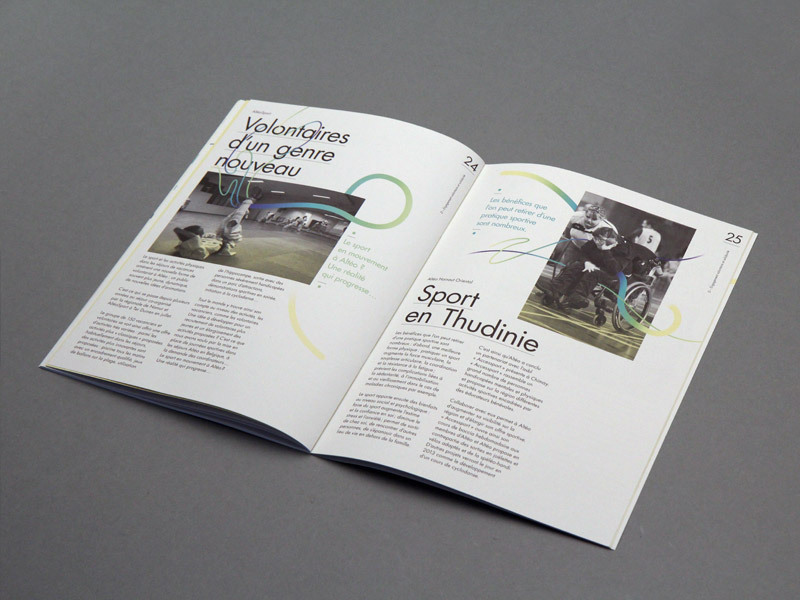 The colorful threads play with headlines and people shown in the black/white pictures in order to created a powerful graphical impact.